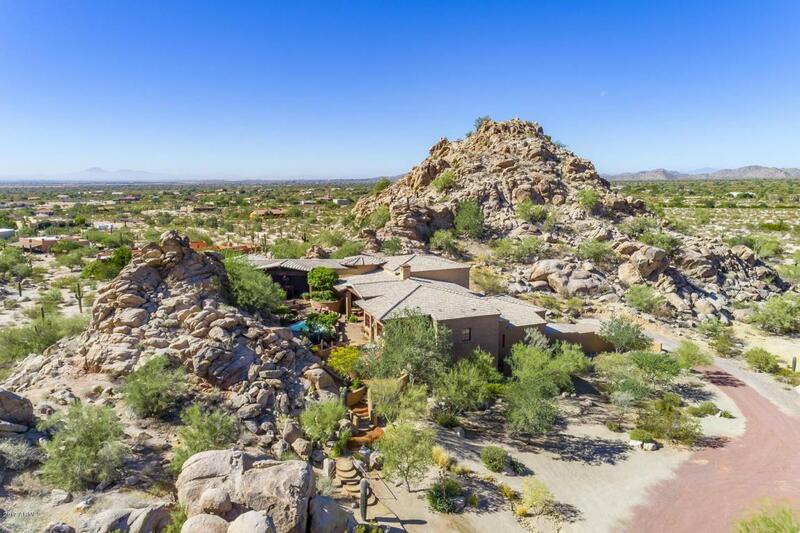 It's all about the privacy and the incredible views from this unique estate, located just 45 minutes from Phoenix Sky Harbor International Airport. 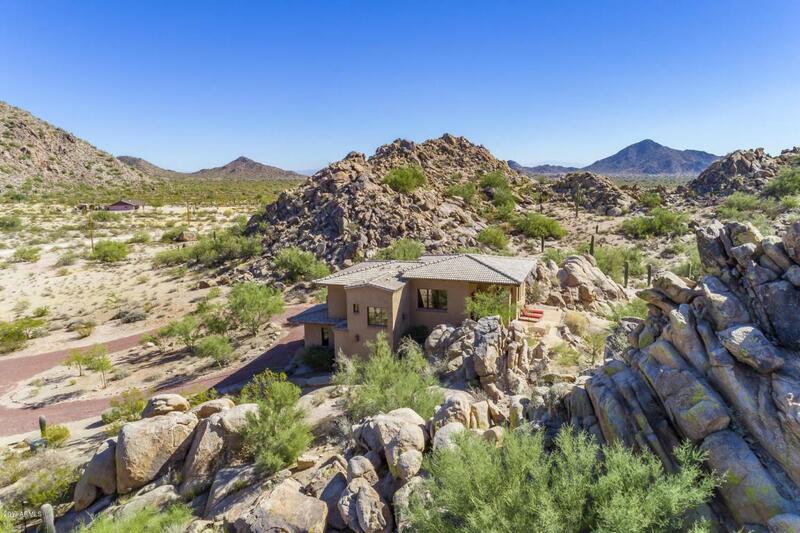 Strategically placed on over five hillside acres, this multi level main home and guest house offer a luxurious retreat graced with incredible views from every window. 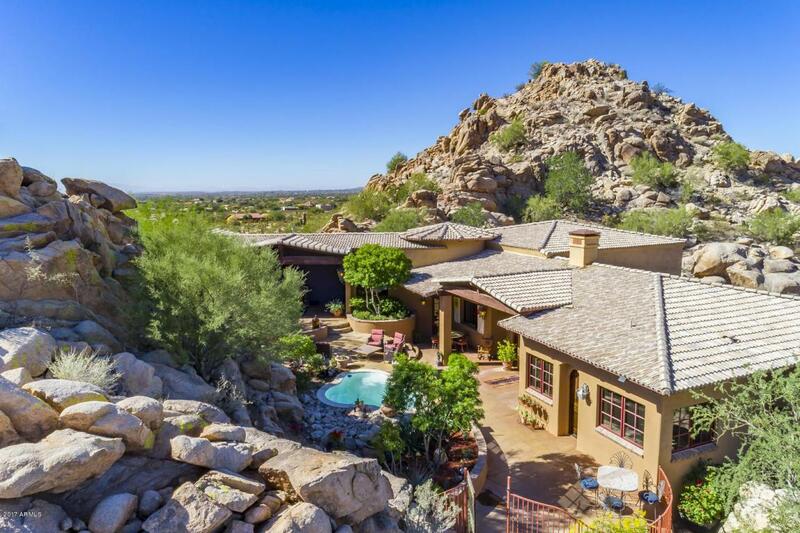 The main home offers multilevel patios along with a pool, a grande master suite with his & hers separate baths & sitting room, a guest suite, office, expansive grand main level living and entertaining area, a theater room, wine cellar, 2 car garage & tons of storage. The main house offers two bedroom suites and four bathrooms. The guest house offers a luxurious living area, restful spa like bathroom, immense closet, 2 car garage & unparalleled views. Look for the *3D-tour*! 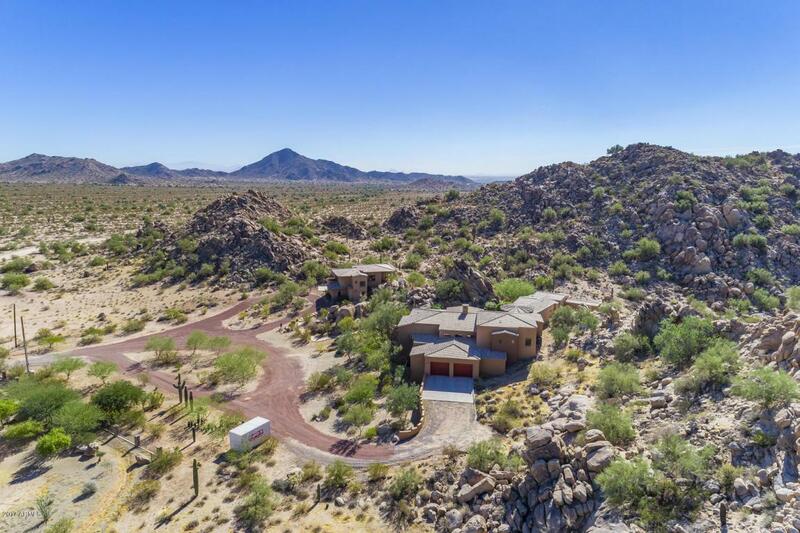 Listing courtesy of Re/Max Casa Grande.